Mpls.St.Paul Magazine, the voice of the Twin Cities for 40 years, evokes a sense of place as much as a way of life. Our staff combs the metro-area landscape, seeking intriguing people, cutting-edge culture, innovative homes and lifestyle stories, sumptuous dining, and savvy travel destinations — and then features them in a magazine that’s part clever companion, part authoritative guide. Our commitment to excellence in service journalism is unparalleled in Minnesota. 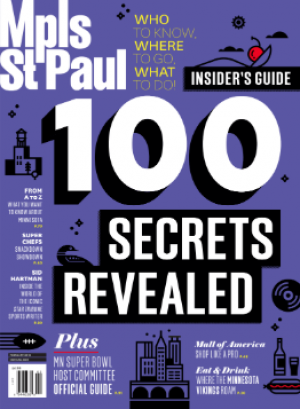 Mpls.St.Paul content features award-winning writers and designers blending their talents that captures the true spirit of Minneapolis and St Paul.